BERLIN -- Conservatives in Germany's Lower Saxony state called for tougher oversight of Volkswagen Group, in which the state owns a fifth of the shares. The Christian Democrats, hoping to gain control of the government in a state election on Oct. 15, want a shake up in the relationship between the two. 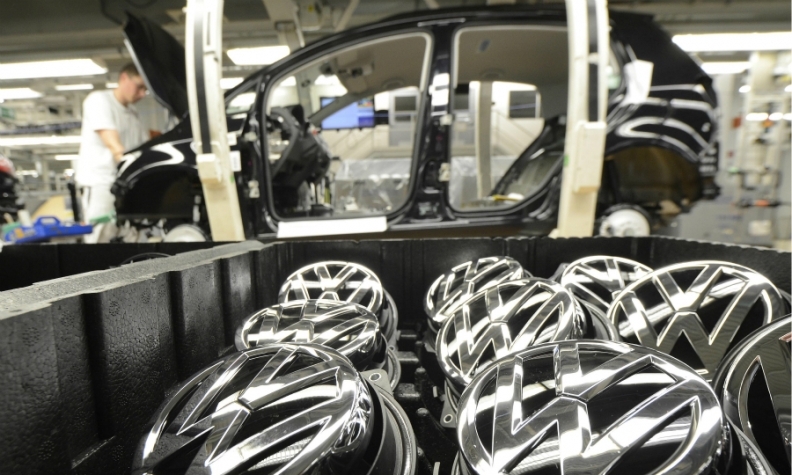 "Lower Saxony's share in Volkswagen is not managed professionally enough," Bernd Althusmann, head of the Christian Democrats in the state, told German newspaper Die Welt in an interview published on Tuesday. "The state must be able to deal with Volkswagen as an equal partner, not as a supplicant," he said. The comments follow a report over the weekend in the Bild am Sonntag newspaper that cited a VW employee saying state premier Stephan Weil, a Social Democrat (SPD), softened an October 2015 speech about VW's actions at the company's request. Weil, who sits on the company's supervisory board, denied the report and said the controversy was clearly politically motivated. He defended his decision to allow VW to review the speech, citing the sensitivity of VW's discussions at the time with U.S. authorities about emissions rigging. Lower Saxony will hold new elections on Oct. 15, after a Greens party member defected to the conservatives on Friday, costing the Social Democrat-Greens coalition government its one-seat majority. The Christian Democrats' Althusmann called for creation of a new state office to oversee VW, and said one of two spots on the supervisory board now reserved for the state should be held by a business expert, not a member of the state government. The state premier should still sit on the supervisory board, he said, but with the support of an expert whose sole job it was to oversee the carmaker and the state's share in it. Just over half of the 1,007 people polled by the mass circulation daily Bild on Monday said Weil should not be the Social Democrat's candidate for premier in the October election. More than 51 percent said Weil should resign now instead of waiting for the parliament to dissolve itself and ruling without a majority.